You don’t need to face plant on the highway to show off your road rash! 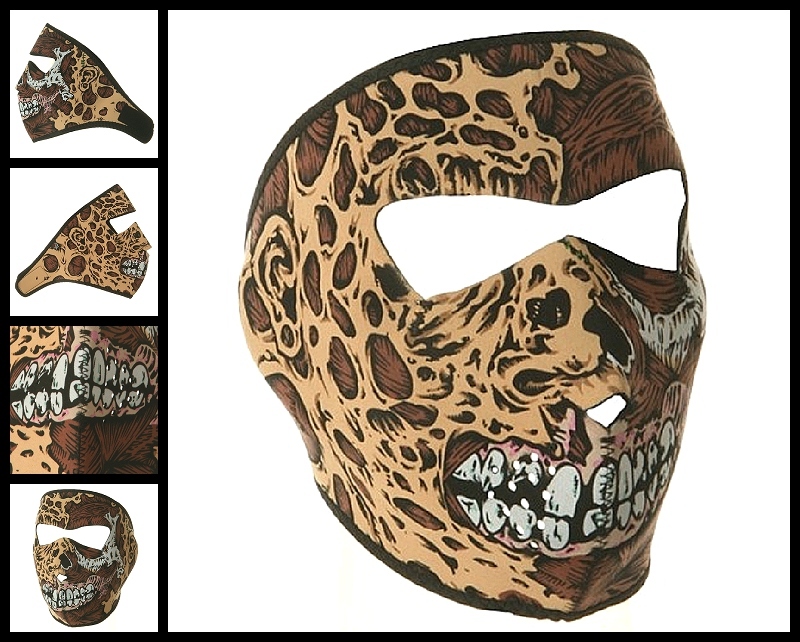 Just wear our wind-resistant neoprene Road Rash Face Mask and still get the full effect without the pain! Our facemasks are weatherproof, bugproof, sunproof, windproof and outstanding value from Iron Horse Helmets at just $10 each! You won’t believe how quickly you’ll get used to riding with the added protection of our face-mask! Reversible, piped edges for better fit. Hand washable.